This is my wood! 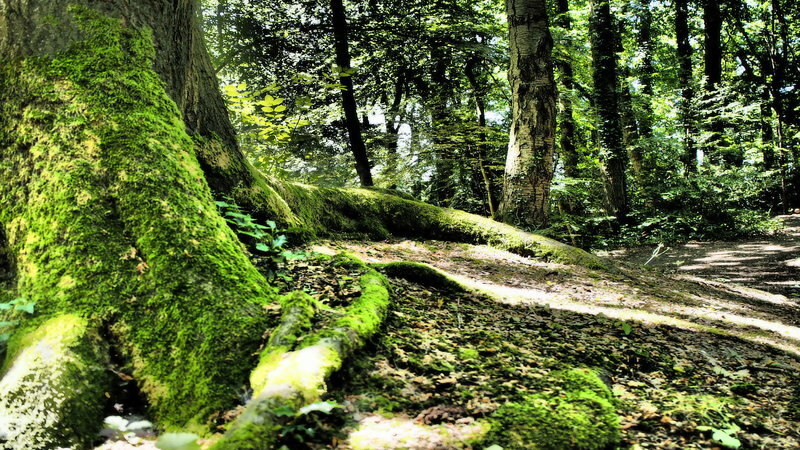 I say it's my wood when in fact it's just the wood that I grew up near, played in, walked and cycled in. So although it's technically not my wood, it is! In my head at least. I love my wood, it's called Cowcroft and is in the heart of the Chilterns, on the edge of the village where I went through adolescence. I could see it from our garden, dark and imposing in winter. Colourful and inviting in summer. I'd walk our dogs in it, climb trees across the dells, hide in it, swing on ropes in it. Sit and chat with mates in it. I was lucky. Quiant isn't it? A sleepy village green, regulation pond and bunting. It's got that 'hollywood' image of an English Country village. Or if you're in the UK, a Midsomer Murders location. 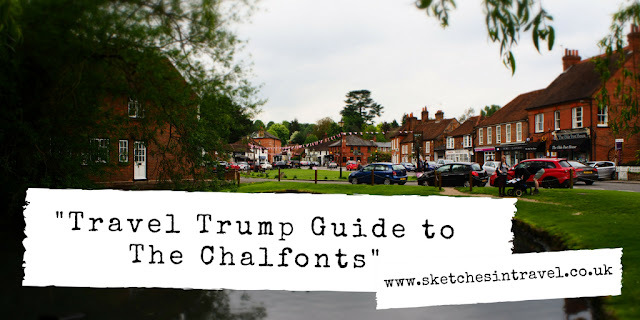 You'd be right too, for Chalfont St Giles (for that is where we are), is a picture perfect English village. As are it's fellow villages in name at least, Chalfont St Peter and Little Chalfont (although the last one is less so than the first two!) For our latest Travel Trumps we discover the Chalfonts, villages full of history and some quality attractions.